This past winter was relatively mild in our western Montana valley; it was strange (but fine!) to have so many mornings without scraping the windshield or thawing frozen water buckets. But the snowpack is good up in the mountains, so we are hoping for a summer without too many forest fires. more frequent and of greater duration, but running your necessary loads doesn't need to be terribly complex. This system totals out right around $4999 before freight, installation, wire runs, and miscellaneous electrical widgets. This system will provide approximately ~2200 watt-hours per day for four hours of full sunlight. You will get more in the summer (and less in the winter), depending on your location and amount of sun received. The batteries will provide three days of back-up power at the usage rate of ~2000 watt-hours per day. If you think the loads you want to power would exceed 2000 watts (continuous draw), you can go with a larger inverter; we have found those manufactured by Magnum Energy to be very reliable, as well as offering 240VAC capacity. Examples of different types of roof/ground mounts. Many people prefer pole mounts (far right), as they are easy to seasonally adjust for a better angle to catch the sun’s rays. The batteries specified in the example systems, above, are flooded lead acid; they are still the best deal but will require maintenance, and they need to be in a vented battery enclosure. A plywood box with the top vented with a PVC pipe is quite adequate (vented to the outside of your garage, shop, or basement), but if you are unable to maintain your batteries you may need to consider absorbed glass mat (AGM) or gel-cell batteries. They are more costly and have a shorter cycle life but require little (virtually no) maintenance except for regular charging. The correct charge controller for your system depends on the features you desire and the amperage coming off your solar array; if you plan to add to your system, it’s a good idea to get the size controller you need at the onset, saving you money in the long run. There are many different models of charge controllers (pictured left), ranging from the small and simple to the larger, more complex units, from 5A to 80A DC input to your batteries. Here at Oasis Montana, we design each system with components to best suit your project. Inverters take the DC power from your batteries to run your regular AC loads; they are generally sized according to two factors, the continuous amount of power needed and the peak loads (total watts of the maximum amount of electricity running at one time). You’ve probably seen the smaller inverters in the 50W to 200W range, with a DC plug that can run off the 12V supply in your car. The bigger models can handle whatever loads you need to power, as long as they do not exceed their current rating. Above: Samlex and Magnum Energy inverters. Right: Outback Power inverter. Proper sizing of your inverter is very important, as it's a costly component to upgrade--so be sure to get the correct size at the onset. The load sizing is critical in determining which inverter is best for your project. If it is undersized, it won’t handle the loads you want to run; and if it is oversized, you will pay more than is necessary. The Samlex are fine quality, low-cost, smaller inverters with excellent sine-wave AC power output, but they do not have a built-in battery charger as do Magnum and Outback. If you plan to integrate a fuel generator into your back-up system, you will either need a separate battery charger or an inverter with one that is built in. We have more on back-up power; visit "Be Prepared for Your Next Power Outage" below. No power is no problem with non-electric gas ranges, refrigerators, and freezers. Our Peerless Premier ranges are available in DC electronic ignition models, in sizes from 20 to 36 inches, or with AC igniters, in which the burners and oven can be lit with a match if the power goes out. All these appliances will operate on LP (propane) or natural gas; some need to be set up for your preference at the factory. For more information, specifications, pictures, fuel consumption, etc., visit http://www.lpappliances.com/. NOW AVAILABLE: The 15 cu. 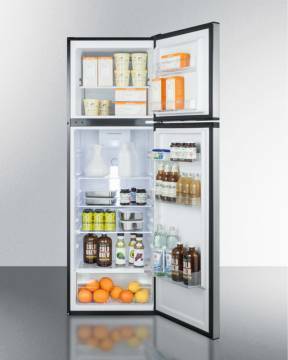 ft. capacity DC Refrigerator by SunDanzer! 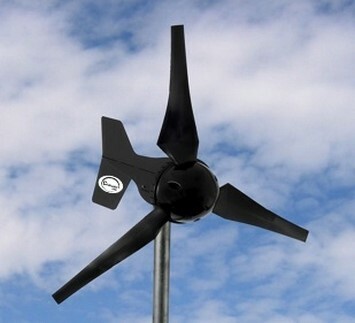 The DCRF450 is designed for the off-grid homeowner. Thick insulation and a high-efficiency compressor will provide low energy use and years of reliable operation. $1975 plus freight. While some of the refrigerator components are manufactured in other countries, the compressor and other parts are made in America, so these are considered to be made in the USA. Ship from TX. Sorry, this unit is not available, but SunDanzer does make a smaller, 4.7 cu. ft. upright refrigerator freezer. 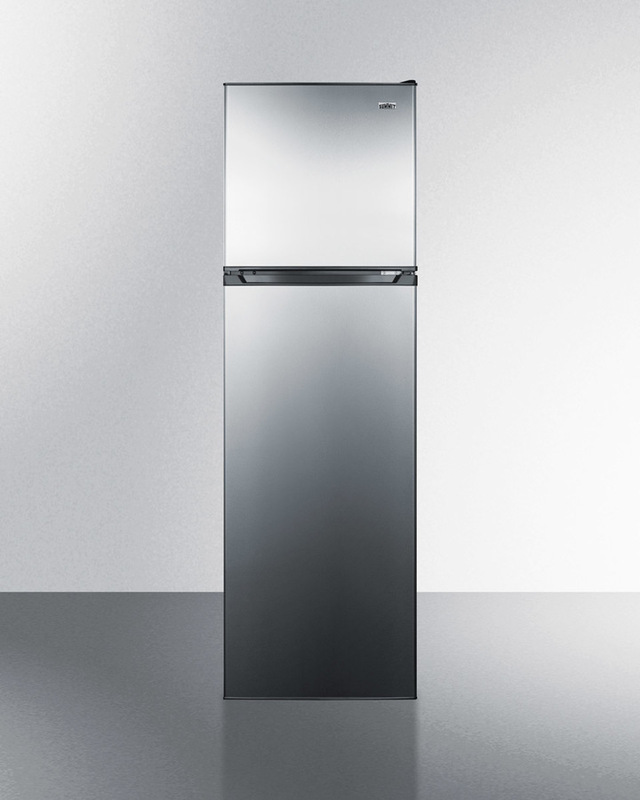 For more information, go to http://www.eco-fridge.com/Upright-DC-Refrigerators.html. 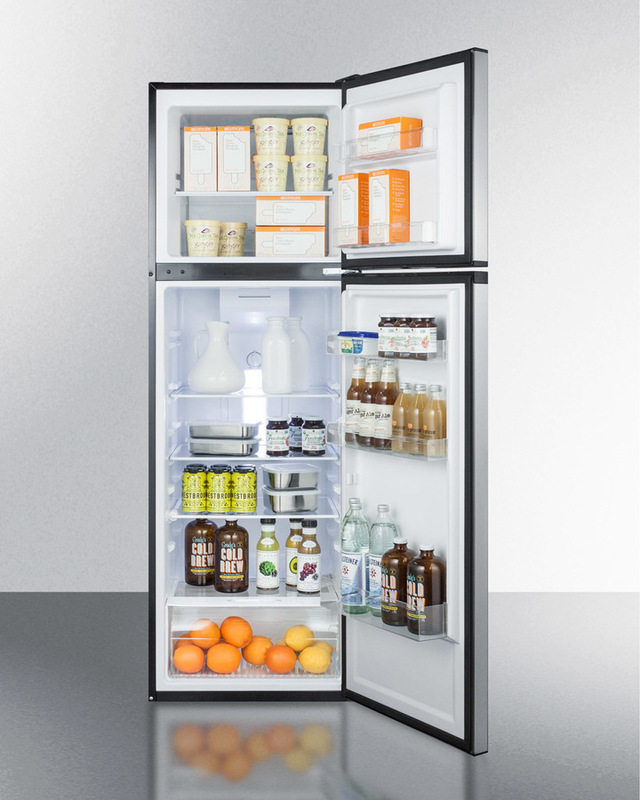 We also have compact and full upright DC refrigerator-freezers available from Sun Frost, http://www.eco-fridge.com/sunfrost.html. Keep a lid on your electrical usage with efficient appliances. Many conventional American homes are not designed for efficiency — but as electrical rates rise, people are learning the benefits of purchasing efficient appliances to keep a lid on their utility bills. You can view a variety of appliance data at http://www.energystar.gov and http://www.aceee.org/; these can be rather ponderous sites but there’s a lot of information there if you sift through the links. And our site on AC & DC appliances is http://www.eco-fridge.com/. Other modules are available too—Samsung, Yingli, GES, Trina, Hanwha, Alps, Solartech, Sunwize, BP; prices are subject to change with little notice—often for the better. Call for your module pricing and availability. Container pricing available for better dollar-per-watt cost. This is a very slick and easy product for folks who want a grid-tie system, small or large. The Eoplly AC modules have a Solar Bridge Technologies 240W Inverter factory-connected to the Eoplly module frame. Each module is interconnected to others in the string via Eoplly-supplied AC accessory cables, making a truly AC solar module. A variety of mounting options are available; strings are limited to 16 and arrays to 100kW per Power Monitor. Larger arrays can be developed; call us for more information. AC modules generally outperform string inverter-based systems if there is any shading at all, including residual snow at the bottom row of cells. Virtually any shading of the array in string inverter systems is cause for power loss. These are available in pallets of 18 for $9288 plus freight (more or less will involve a 'pallet breaking' fee of $100); with a 25-year power warranty on the solar module and a 25-year warranty on the AC output for the inverters, this combination is hard to beat! There's also a mobile device application available so you can monitor the system's performance on a web-based portal. Up to 25% more energy than central inverters. Reduced shading, clouds, multi-roof issues. No separate grounding or DC wires. Deflection of high-voltage arcing and reduction of fire risk. Only AC wiring, resulting in safer installation. Call us at 406-777-4321 for more information on this exciting development! Are you ready for your next power outage? With the advent of superstorms such as Hurricane Sandy, floods, unpredictable tornadoes, or simply because of aging utility infrastructure, Americans are dealing more and more with undependable utility (grid) power. We at Oasis Montana have been designing backup power systems for whatever loads you need to run; we can make these systems seamless so you do not know the power’s even gone out, or, you can plug in your specific loads as needed at the time of a power outage. Recent power outages show people the tremendous value of backup systems, and there are many different solutions to utilize inverters for backup capability. Connecting backup loads can be very simple or complex. And, the amount of time provided for backup power depends on the loads you want to run and your battery capacity. During a power outage, an auto-transfer switch in the inverter opens the grid-interconnect, which isolates the building from the utility to prevent any back-feeding into the local power lines. Then the inverter draws from the batteries to provide AC power to the subpanel. If you are starting from scratch, a DC coupled system is likely to be the most cost-effective and reliable configuration to use. The diagram at left is an example of a D- coupled PV system; the solar (PV) array’s power goes through the charge controller to charge the battery bank. When the batteries are fully charged, power is fed back through the inverter for use. The inverter output is connected to the backup (i.e. critical load) subpanel, as well as grid-intertied to the main electrical panel. Under normal conditions, it functions like any net-metered inverter. In an “AC coupled system (right), a batteryless, grid-tie inverter is connected to the solar array, while a battery-based inverter is used to power loads from the battery bank in the event of a utility outage. In this scenario, the AC output of the grid-tie inverter is connected to the backup (critical load) subpanel rather than the building main electrical panel. The backup subpanel is also connected to the AC output of the battery inverter; the AC input of the battery inverter is then connected to the main panel as in a DC-coupled system. Under normal conditions, the batteryless grid-tie inverter is passed through the battery-based inverter’s built-in transfer switch to the main panel and utility inertia, without loss of efficiency. Likewise, grid power can pass the other direction when needed to power the loads in the backup subpanel. During a power outage, the battery inverter’s transfer switch isolates itself from the utility connection and provides AC power to the backup subpanel, drawing energy from the battery bank. The batteryless grid-tie inverter will shut down at the start of a blackout, but will turn back on (after a mandatory 5-minute waiting period) when AC power from the battery inverter is detected, supplying AC power to the backup subpanel. If enough power is available it will be used by the battery inverter to charge the batteries. Note that once the battery bank is fully charged and the loads are served, the batteryless grid-tie inverter will need to be throttled back, diverted, or shut down in order to prevent damage to the batteries, so you may need a diversion regulator (or ‘dump load’) on the battery bank. An AC-coupled system offers a few advantages compared to the traditional DC-coupled system. The batteryless grid-tie inverter can use the higher voltage from the solar array, reducing the required wire size, and is generally more efficient than a battery-based inverter. Additionally, if a direct grid-tie system is already installed and battery backup is added later, it is often more convenient and cost-effective to leave the existing system in place. A disadvantage, though, is that AC-coupled systems are typically much more expensive and complex to design, and only certain inverters can be used in such systems. But, the battery-based inverter can, with this type of system, be added to an existing grid-tie system to provide necessary backup power in the event of a power outage, resulting in money savings on your utility bill when the grid is up, and to run whatever you need to when the power goes out. At present the SMA Sunny Island is the only equipment specifically made to be AC-coupled (with SMA Sunny Boy grid-tie inverters) and is fully factory supported. With the exception of high-frequency inverters, such as Fronius IG Plus and SMA SunnyBoy HF, most batteryless grid-tie inverters could be made to work in an AC-coupled mode...but, most manufacturers cannot provide adequate tech support, and some warranties will become void if the inverter is AC coupled. OutBack Power and Magnum Energy make battery-based inverters that can be used in an AC-coupled configuration. It is, of course, possible to have a battery backup system that is entirely separate from a solar grid-tied system (like our example system on page 1). In parts of the world with frequent short outages, many people just install a battery based inverter and battery bank without any PV whatsoever. Very similar to a UPS (uninterrupted power system), the battery is kept charged by the inverter from the utility AC power as long as the power is on, and during a power outage will supply power from the battery to AC loads. This type of system has no way of being recharged during an outage, (unless you have a fuel generator or add photovoltaic modules) so the amount of electricity provided cannot exceed your storage capacity. Of course, adding PV power to this sort of system makes it just like one of our basic remote power systems; simple since no grid-tie is necessary. The common method of connecting backup loads is with a subpanel that serves specific circuits. The backup subpanel (could be a 6-breaker Square D box) is typically installed next to the main panel so that the circuit wiring can be easily transferred from the main panel to the subpanel. These circuits are then automatically powered through the backup system during a utility outage. Only complete circuits can be wired this way, not individual appliances. Appliances can occasionally be moved from other circuits onto a backed-up circuit or loads can be turned off of backed-up circuits if they are not needed during an outage. And, you may want to disconnect certain unnecessary large loads if they are on these circuits, to prolong your battery backup. If it helpful for the end user, unique styles or colors of receptacles can be installed on backed-up circuits. It is possible to have a backup system power an entire home or building if either the backup system is very large or the loads are efficient and unusually low. This is not often done because it requires a backup system large enough to power all loads in the house. Otherwise, the loads running when the outage occurs may overload the inverter (or drain your batteries quickly), defeating the backup system’s purpose. For a grid-tied battery-based system, such as the one here in our office, the sizing of the solar array is much the same as for a non-battery grid-tie system. The limitations on the solar array are still: space for installation, maximum offset of utility power, and budget. Often a solar array sized for grid-tie will be more than large enough during a power outage. For AC-coupled systems, the battery-based inverter typically needs to be larger than the batteryless grid-tie inverter for best results, since it must be able to power your continuous loads. The battery bank size is determined by the length of time and the size of the loads to be run during an outage. Backup systems can be made to supply power for minutes, hours, or days. If outages are brief or if a backup generator is planned, the battery bank only needs to be large enough to carry the loads for a few hours. Most often, a backup time of a half day or multiple days is desired. If there is not much sun, a generator can be run for a few hours per day to keep the battery bank charged. If the system is to be capable of running indefinitely, it should be sized like a true off-grid system. As to batteries needed, the best bang for the buck is still the flooded lead acid cells, but these require regular maintenance and a battery box designed to safely outgas its fumes. If your storage needs are not too great we would likely recommend AGM (absorbed glass mat) batteries, which are non-spillable and require little maintenance. (Diagrams and part of article source: Brad Bassett of AEE Solar). For more information call us (406-777-4309 or 4321), or you can also visit http://www.sma-america.com/en_US.html, http://www.outbackpower.com/, or http://www.magnumenergy.com/ for information about these inverters. BATTERY CAPACITY METER from Midnite Solar: These smart people have come up with a very simple and cost-effective way of keeping track of your batteries' condition. If you are serious about having back-up power, you NEED to know your batteries’ state of charge. Not having a meter on your batteries is a lot like driving a car with no gas gauge! The Battery Meter can be used with all types of lead-acid batteries and will automatically detect the voltage of the battery bank, but for the most accurate readings you should set the meter for the type of battery being monitored (gel, AGM, or flooded). You select the battery type by the placement of a small jumper on the circuit board pins, and battery voltage of 12V, 24V, 36V, and 48V is automatically selected. These meters are intended for indoor use only and must be protected from moisture and direct sun. Installation instructions are clear and easy to follow. While there are other meters available that offer more detailed information, at only $69 this one is hard to beat! Do you have a fuel generator for backup power? If you’ve had any significant power outages lasting more than a few hours, you know you need to keep a substantial fuel tank available. Many people, whether for remote homes or for emergency backup, have found that the addition of an inverter and battery bank will significantly reduce the generator run time and save fuel. Most folks who have generators only use a fraction of their output at any given time. They'll be sucking down a half gallon an hour (or more) just to power some lights, and maybe a microwave or fridge for a while, leaving most of that capacity wasted. They'll go through 10-15 gallons a day to do very little work (there are some generators that are better at throttling output to closely meet demand, but most home generators out there don't). When you have a battery/inverter system, you can fire up the generator, run it at full capacity for an hour or two, then shut off the generator and run your AC loads as needed since you are charging the battery bank via your inverter's charger while your generator is running. You can make your fuel resource last much longer. It is important that you size the inverter so it will be able to handle the continuous power requirements, as well as the starting surge, of any loads you wish to run. In the average home this might be a water pump and a washing machine, since those are two sizable loads that are apt to be running at the same time. We don’t sell generators but do know how to specify the proper inverter for your project, as well as what generator features to have (a 2-wire electric start is a real good idea). We can make these systems turn-key enough that when your battery voltage drops (from running your AC loads), your inverter senses the voltage drop and turns on your generator; once the batteries are ‘fat,' the inverter turns off your generator, saving fuel. Questions? Give us a call at 406-777-4321 or toll-free 877-627-4778. 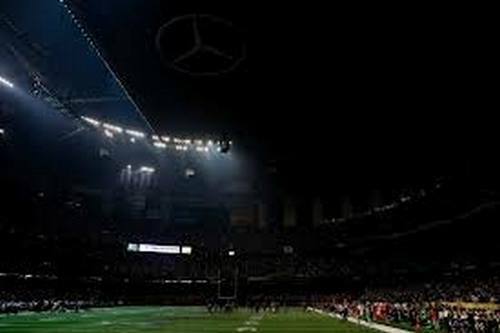 SUPER OUTAGE The power outage that halted Super Bowl XLVII was caused by an electrical relay installed to prevent a power failure, according to the company that supplies power to the Superdome. “The purpose of it was to provide advanced protection,” according to Entergy Corp. executive Dennis Dawsey. The relay was part of an upgrade to the Superdome’s electrical system undertaken in 2011 in anticipation of the championship game. OOPS! You too can have hot water on demand—even with a standard electric water heater—and save on your electric bill at the same time. One of the ways to increase the efficiency of your water heater is to turn it off when not in use. This option may not work for every household, but if your family tends to take showers or do laundry on a more-or-less regular basis, or the same time every day, you can really reduce the electricity used by installing a general duty 30A safety switch. These are readily available at your local hardware store; while it is not difficult to install, you will probably want to hire a professional to do it safely and properly. might really only need it for 30 to 45 minutes? your hot water heater—these are also commonly available at your hardware store. Since we’ve installed our grid-tie system at Oasis Montana, we’ve been trying new things to continue to reduce our electrical use—like this disconnect switch and using LED lighting. At present, we have not been buying any electricity from Northwestern Energy for about 9 months out of the year...but I still don’t know how to offset the heat lamps I put on my chickens when it gets cold…. Quinoa, amaranth and sunflowers in last year’s Oasis garden. Chris Daum, Owner of Oasis Montana, and pet chickens. My husband thinks it’s funny that I actually grow foodstuffs for the chickens. But doing that cuts into my feed bill, keeps them much healthier, and contributes to my enjoyment of them by providing them ‘treats.’ This year I have multi-colored corn and red amaranth seed to give away; send me a self addressed envelope or a couple of stamps and I will happily send some seeds your way. Solar power system owners reap the benefits of tax credits There are still tax credits for these kinds of systems, (they’re not going to be ‘sequestered,’ thank goodness! ), and your state or utility may also offer additional incentives. The ITC (Investment Tax Credit) allows power system owners to take a 30% federal tax credit of the qualifying costs of the solar electric system. Now, the ITC can only be taken in the tax year the system was placed in service; if you installed a system in 2012, you should use IRS Form 3648 to take the tax credit for 2012. The ITC is not refundable; if the 30% credit exceeds your federal tax liability, it can be applied to next year’s taxes. The ITC is for system owners — if you are leasing or financing your system, that system is not eligible for the ITC. In most cases, any other state incentives or grants must be subtracted from the system’s cost before calculating the tax credit. It’s wise to speak to your accountant to determine if this applies to your specific situation. 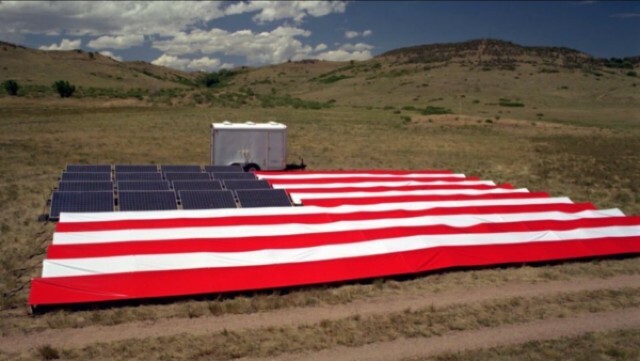 And if you have a commercial system, there may be additional federal tax benefits; some commercial solar owners can benefit from 50% 'bonus' depreciation, which allows for the deduction of 50% of the depreciable basis of a solar electric system in the first year of operation. This benefit is available for commercial solar electric systems placed in service in 2012 and 2013. Many states also offer incentives which can reduce your tax liability — and all of these make solar power more affordable. You can find out what incentives are available for you at http://www.dsireusa.org/ (a state-by-state database that is updated regularly). Stock watering and irrigation systems are becoming more affordable and reliable. 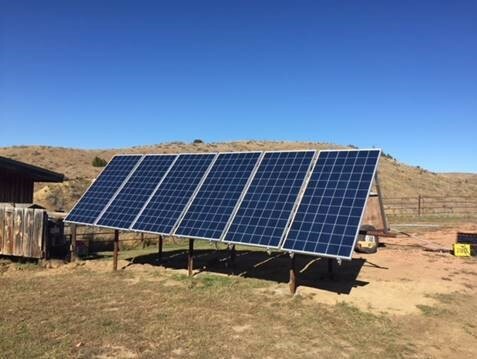 But there are other grant possibilities for solar pumping projects; Visit http://www.rurdev.usda.gov/BCP_Reap.html for more information (or contact your local USDA or NRCS office for information about their REAP programs). The drought that devastated so much of the U.S. last year has spurred programs and financial assistance for eligible landowners and agricultural producers for irrigation, conservation and stock watering. NOTE that Rural Energy for America Program (REAP) grant applications must be submitted before May 31, 2013 (recently extended from April 30). There are also wildlife oriented programs through which the agency approves contracts to provide financial assistance to help plan and implement conservation practices that address natural resource concerns or opportunities to help save energy, improve soil, water, plant, air, animal, and related resources on agricultural lands and non-industrial private forest land. Visit http://www.nrcs.usda.gov/wps/portal/nrcs/main/national/programs/financial/ for additional information. 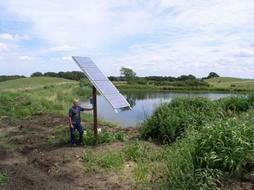 If you are thinking about a solar water pumping project, visit http://www.pvsolarpumps.com/; once we have the answers to the questionnaire, we can propose a system for you. Or call for more information, 406-777-4321, 877-627-4768 (toll-free). New Research Shows Climate Emissions from Keystone XL Tar Sands Pipeline Much Worse Than Reported: http://www.nrdc.org/media/2013/130117.asp. Cyber attack on electrical grid almost certain: http://www.fiercehomelandsecurity.com/story/mit-cyber-attack-electric-grid-almost-certain/2011-12-05?utm_medium=nl&utm_source=internal. This robot eats Sewage: http://phys.org/news/2012-11-ecobotiii-sewage-powered-robot.html. Solar is Cheaper Than Coal in New Mexico: Although new solar plants can't yet compete on price with legacy coal plants, they are nearing the point where their economics look better than those for new coal plants. That's happening in New Mexico, where First Solar plans to sell solar electricity from its new 50-megawatt Macho Springs project to El Paso Electric Co. at 5.79 cents per kilowatt-hour. That's less than half the 12.8 cents per kWh that new coal plants typically charge. http://www.sustainablebusiness.com/index.cfm/go/news.display/id/24550. Robert Newman’s History of Oil: A little long but good-humored and very interesting: http://www.youtube.com/watch?v=sehmmzbi3UI. Combating climate change makes economic sense: The Hewlett Foundation recently sponsored a study of the economic consequences of these policies over the past three decades. It tells an amazing story. California now uses half as much energy per capita as the nation as a whole, saving the average household $1,000 each year, with total savings now more than $56 billion. New York households have similarly benefited. Whereas per-capita electricity use across the nation has increased 50 percent in the last 30 years, in New York it has risen only 15 percent, due to the state's focus on energy conservation, saving billions of dollars. 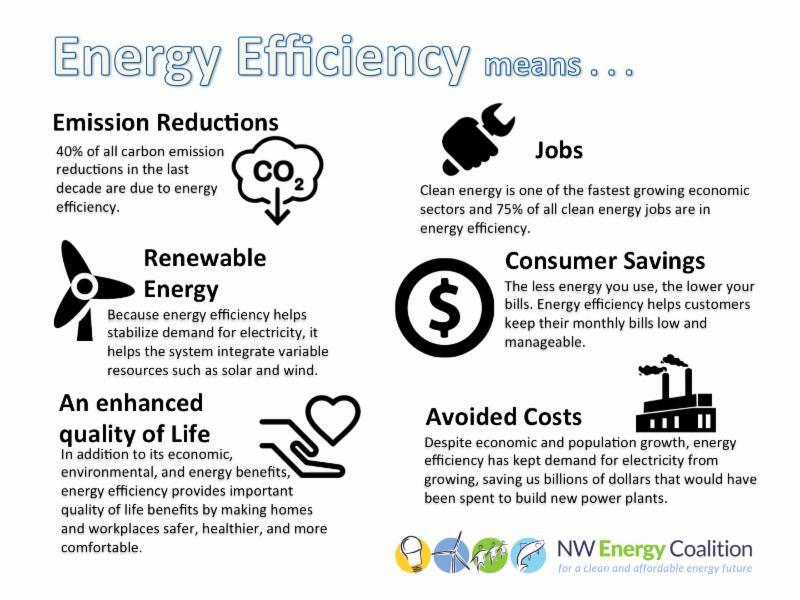 The bottom line here is that saving energy is not only good for the environment, it also saves people money. http://www.sfgate.com/opinion/openforum/article/Combating-global-warming-makes-economic-sense-2503537.php. Netherlands is combating rising oceans by building floating homes: http://www.bbc.co.uk/news/world-europe-21180779. Coal Plants Are Victims of Their Own Economics: Plans for more than 150 new coal-fired power plants have been canceled since the mid-2000s, existing plants have been closed, and in 2012, just one new coal-fired power plant went online in the United States. http://news.sciencemag.org/sciencenow/2013/02/coal-plants-are-victims-of-their.html?ref=hp. According to a detailed analysis of coal plant finances and economics by the Institute for Energy Economics and Financial Analysis, coal is losing its battle with other power sources mostly on its merits. Over the past 6 years coal's share of U.S. electrical generation has fallen from 50% to 38%. There are several reasons for coal’s decline. Over the past decade, construction costs have risen sharply. In addition, since the mid-2000s, the price of natural gas has plummeted. Coal is also struggling because many power plants that burn it are aging to the point that more parts break and they’re becoming expensive to maintain. Sixty percent of the nation’s coal plants are more than 40 years old, and the median age of coal plants retired in 2012 was 53 years. Who's paying for fracking technologies? Taxpayers: www.fosters.com/apps/pbcs.dll/article?AID=/20120930/GJBUSINESS_01/709309976/-1/FOSBUSINESS. Report Says Global Fossil Fuel Subsidies Dwarf Renewables Aid: The production and consumption of fossil fuels add costs to society in the form of detrimental impacts on resource availability, environment, and human health. The U.S. National Academy of Sciences estimates that fossil fuel subsidies cost the United States $120 billion in pollution and related health care costs annually. But these costs aren’t reflected in fossil fuel prices. http://www.worldwatch.org/fossil-fuel-and-renewable-energy-subsidies-rise-0. Notes on ideal civilization (good comments too): http://2greenenergy.com/ideal-civilization/34307/#comments. China, coal-fired power plants and ecological disaster: http://2greenenergy.com/china-coal-fired-power-plants/33953/#comments. Whom do you trust - science or fossil fuel lobby? http://2greenenergy.com/scientists-warn-of-climate-disaster-but-are-they-to-be-trusted/33665/#more-33665. 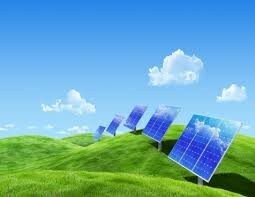 Solar cheaper than nukes: http://cleantechnica.com/2013/02/19/solar-power-cheaper-than-nuclear-in-cloudy-old-england/.